Back when I reviewed Andrew J.D Robinson's two minute film Trick r' Treat little did I know that it was made up of footage taken from a much longer short film he had been working on. 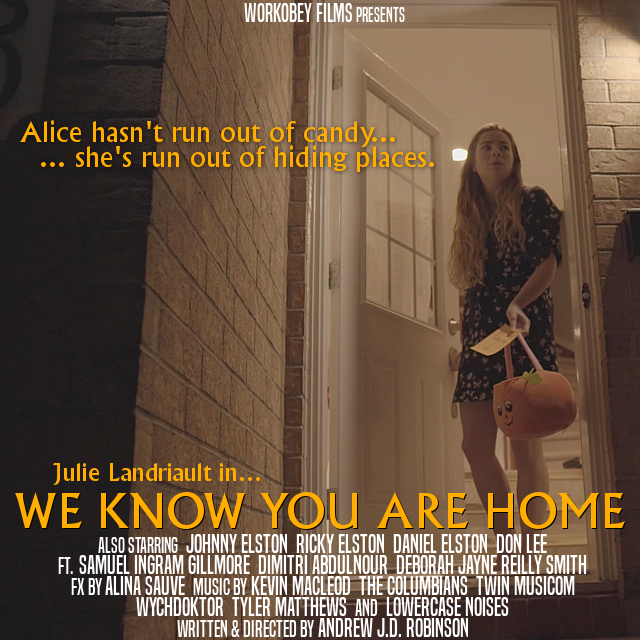 We Know You Are Home is that film and being around seventeen minutes long as opposed to two it of course builds on the foundation of what came before. Years in the past three children out trick or treating on Halloween went missing, they were never found. Due to this tragic event Halloween has been effectively cancelled with a strict 7pm curfew in effect. It is on this day that a woman (Julie Landriault) lands a job as a house sitter but she soon finds herself caught up in events much larger than she expected. The first five or so minutes of this is pretty much an extended version of Trick r' Treat, there is more backstory given to the three missing children, while there are extended scenes of the woman arriving at the house. This seemed inspired by Halloween before in how it had samples from Night of the Living Dead but here, like Halloween this time around we actually get footage proper on a few occasions. 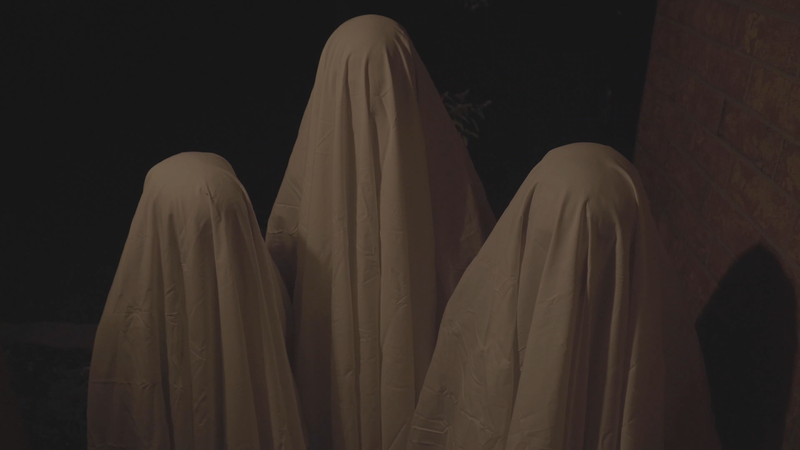 This footage features scenes that nicely tie in with this short in that the shown dialogue from Night resonates with what is going on with the visitors that come knocking for the woman. This came across as a supernatural home invasion horror in its first half and there were some nice moments of build up, the favourite for me being the sound of something rubbing on the back window behind a blind. At some point We Know You Are Home changes tracks slightly with the feeling of peril being reduced to change this into something still horror focussed but the suspense mostly gone, more a story of making amends from the past. This worked well for the short though I admit I had been hoping for something to make my skin crawl. At times aspects of this felt a little too bit clean and tidy, such as a neatly written message, and the sparse bland look of the house the woman is looking after (though there is explanation for that). While I may have expected something different than what We Know You Are Home changed into it was well made with some good moments, I liked a flashback sequence that took place from a different characters perspective for example. I also liked that Robinson has been able to make two different films from the same footage and make both of them work. After the initial build up of supernatural terror this settles down into something that has a solid central idea and also something that becomes almost sweet.